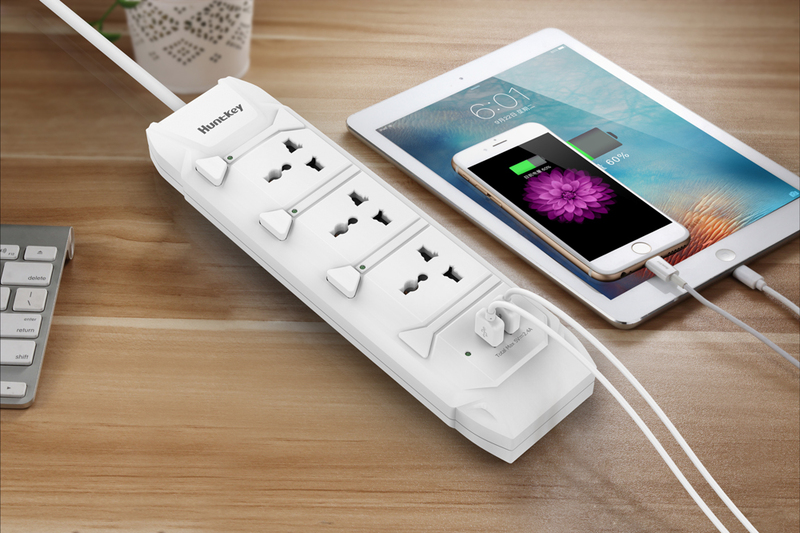 Huntkey Introduces New Models of Universal Standard Power Strip! SHENZHEN, China, September 1, 2017 – Huntkey, a global leading provider of power solutions, announced its new SZL series, an affordable and energy-efficient universal standard power strip intended for global use. The new SZL series includes models of SZL307 and SZL407, and both models are equipped with 2 USB charging ports, providing the users with a more convenient charging experience. The design inspiration of the SZL series comes from a luxury car. 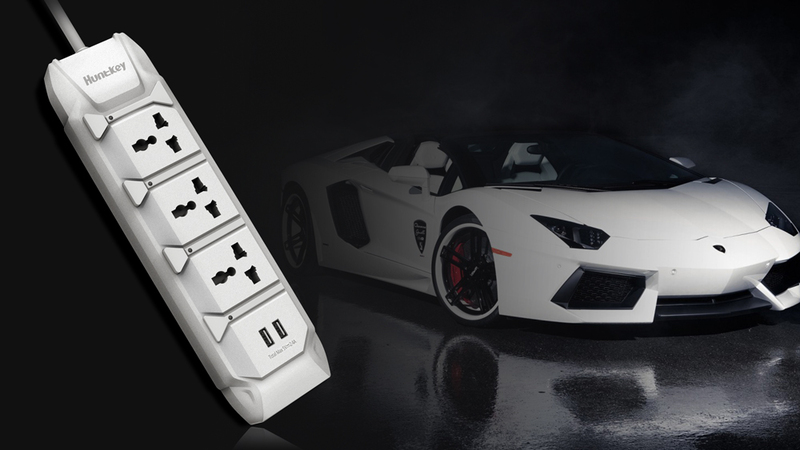 Never before has a power strip series met the needs of markets while also being so popular. The SZL series is durable and extremely safe to use. It offers reliable and consistent power, even in unstable situations because of its surge protector prevents voltage fluctuations and spikes. Luxury cars symbolize elegance, technological innovation and higher quality. They provide a luxury, pleasant and desirable lifestyle that many demand. The SZL series is built with the philosophy of luxury cars featuring a streamlined design with no sacrifices on quality. It is built with integral copper bar to enhance conductivity and energy efficiency, and with a flame-retardant body shell to resist high temperatures. All the premium production materials used lead to the same results – higher product quality and safety. 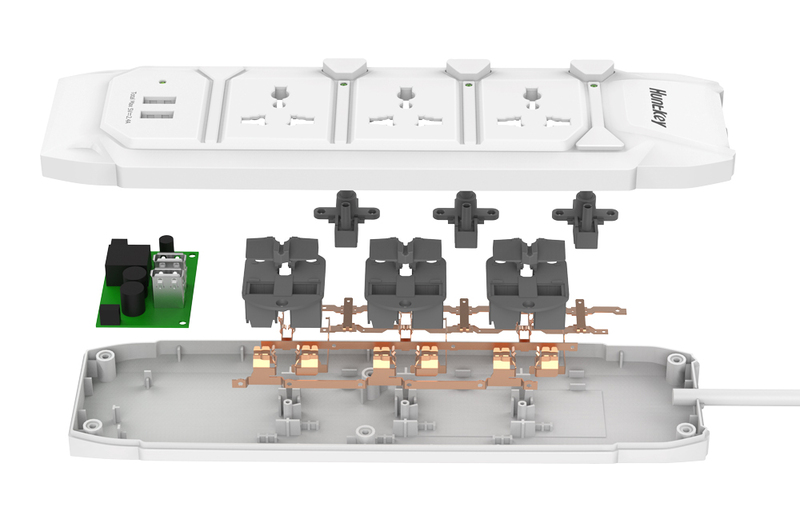 According to Huntkey Industrial Design Engineer, the SZL series is specifically designed to provide a better option to the users who want to own a distinctive, attractive power delivering artwork which is more than a power strip. There are a ton of power strips selling in the market, but very few of them feature with such an interesting appearance. Through 22 years of innovation, Huntkey has paved its way and made its mark as a brand customers can trust. Huntkey is also relentless in the pursuit of making people’s lives better and easier. The SZL series is manufactured with 2 USB charging ports, allowing the users to charge their USB-powered devices without using chargers. The theoretical statistics shows that the USB charging ports of SZL series are able to deliver power at the same speed as chargers, which means that two chargers can be substituted by only one SZL series power strip. Different from other power strips, the SZL series’s AC sockets are controlled by independent switches, and this allows the users to charge multiple devices separately. Moreover, the widely spaced sockets are not only applicable for normal style plugs, but also for bulky plugs. The SZL series can charge more variety of devices without decreasing the using experience. Huntkey is continually striving to impress and capture people’s hearts with elegant design, high quality, and most importantly an attitude of the relentless pursuit for excellent user experience. To ensure electricity use as safe as possible, the SZL series is strictly tested by Huntkey to meet stringent protection requirements, including OCP (Over Current Protection), SCP (Short Circuit Protection), OVP (Over Voltage Protection) and OTP (Over Temperature Protection). The SZL series is equipped with surge protector, which will keep the charging devices protected from voltage fluctuations, surges and spikes. Even on rainy days, they can protect the devices from lightning damage and leave the users with no concerns. With a three-year warranty, the SZL series has the support of the Huntkey’s global service network, and it is positioned to be the most attainable and widely available power strip.